Celtic Passed A Minor Milestone On The Way To The Title Last Week And It Went Largely Un-Noticed. Amidst all the happiness on Celtic fan sites over the form of the team since the winter break ended, one story kind of got missed. It’s a classic example of not being able to see the woods for the trees, and it’s a little annoying for me personally as I banged on about it for long enough. Almost un-noticed, and certainly un-commented upon, Celtic won five league games in a row for the first time since we were at our very best in the Invincible campaign. It passed me by because we’re playing so well that it didn’t seem in any way exceptional, and yet when you consider the form for the whole of last season and where it’s been so far in this campaign, it might yet prove to be a moment of genuine significance. Those five games came alongside two cup ties which, likewise, were easily navigated. It’s seven wins on the bounce since Ibrox, all without conceding a goal. Although the media wants to pretend we’ve “played nobody” that is a record up there with our Invincible form. Yes, it could all mean nothing. Lose at Kilmarnock at the weekend and all the progress will have been for naught, yet I cannot remember approaching a game there – not in a while – where I’ve felt this much confidence that we had a team capable of securing the points. Tynecastle is also up before the end of the month, and I have no fears about that at all. I am delighted that we have gotten over a major hurdle like this and although frustrated I am actually slightly glad that I didn’t spot it as it was happening. The last 20 minutes at Perth was stressful enough without an awareness that we were on the brink of a five game winning run. The weekend’s match has become more stressful as a result, but confidence remains; this team is getting back to its very, very best. Brendan’s first season best. Let those who think it’s because “we haven’t played anyone” kid themselves that this is true. 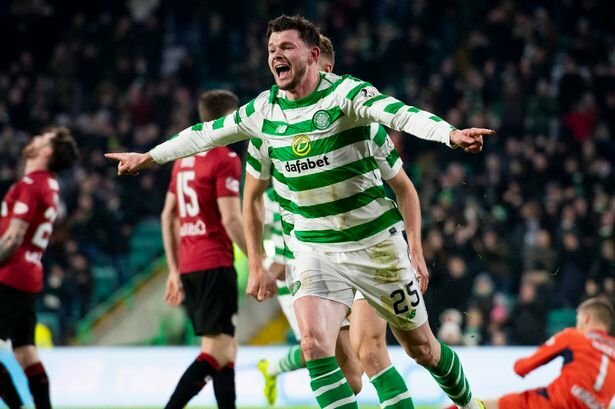 You only have to watch the way we’re playing to know that this Celtic side is rolling again, rolling all over teams, rolling towards the title.